Imagine hot lava spewed from a volcano and careening down a lush hillside incinerating everything in its path. Amid the molten flow, an isolated knoll remains untouched. 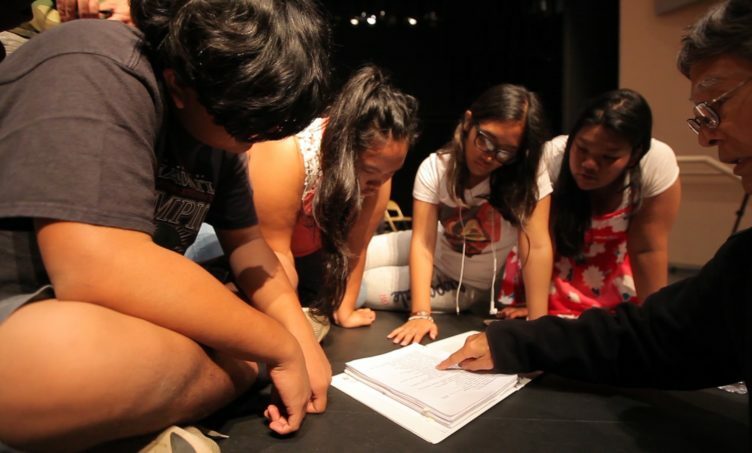 Kīpuka, the Hawaiʻian word for this oasis where life can begin again, is inspiration for the T-Shirt Theatre program at Farrington High School in Oʻahu where teens write scripts based on personal life experiences and perform them on stage. This powerful documentary shows a variety of perspectives on bullying (like cyber-bullying, self-bullying, being a bystander to bullying and even taking the bully’s perspective). The intensity of the performances are as painful as they are cathartic.